Hi friends, how are you today ? 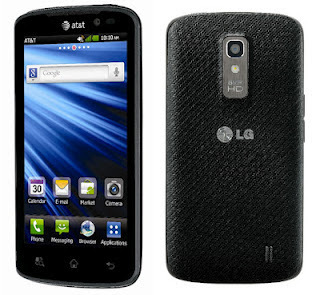 i want to share information about LG nitro HD. LG nitro HD come to rely on features of the present LTE connectivity speed. The phone supports HD resolution of 1280x720 pixels on HD-touch screen measuring 4.5 inch IPS screen would make a very sharp with a pixel density of 329 ppi. LG nitro HD reportedly will combine the android v4.0 (Ice Cream Sandwich) and Scorpion processor with a 1.5GHz dual-core Snapdragon chipset, plus 1GB of RAM which will be the mainstay for high-performance support when opening the application multitasking, 3D gaming , and when watching HD video. For Camera, LG nitro HD has an 8 megapixel camera. The camera is equipped with LED flash, which allows to obtain maximum results when used on two conditions, namely in indoor and in outdor. Card slot : microSD, up to 32GB, 16GB included.